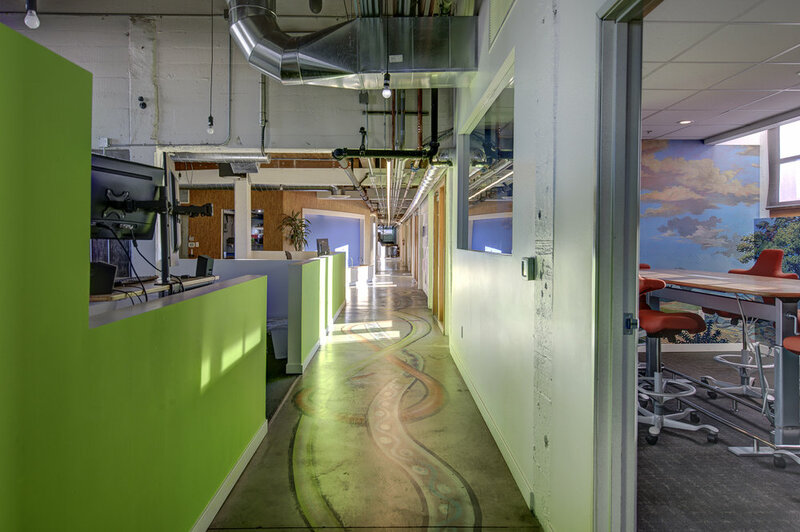 This TI for GRAYBOX, a Portland-based web design and marketing company, included adapting the top floor of their building into an open office with meeting spaces of various sizes. Colorful wallpaper and accent walls activate the areas as well as help to easily identify the various rooms among staff. Glass-panel walls from the previous tenant were repurposed throughout the suite, upgraded with a frosted film in order to use them as dry erase surfaces while still allowing the wall finish behind the panels to show through. Interior windows were used throughout to maximize natural daylight in the open office, with glass surfaces again doubling as writing surfaces for brainstorm sessions. 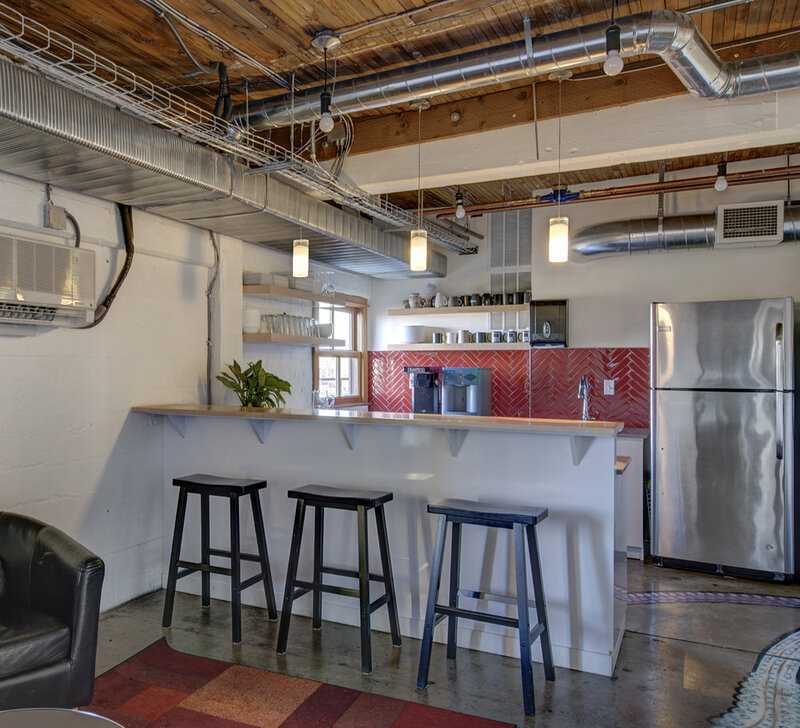 While the new tenant liked aspects of the building’s exposed industrial feel, they were especially concerned with the unsightly HVAC equipment in the main circulation hallway. However rather than conceal the pipes and ducting, linear LED lighting tubes were added to accentuate the industrial qualities and highlight the revealed infrastructure. 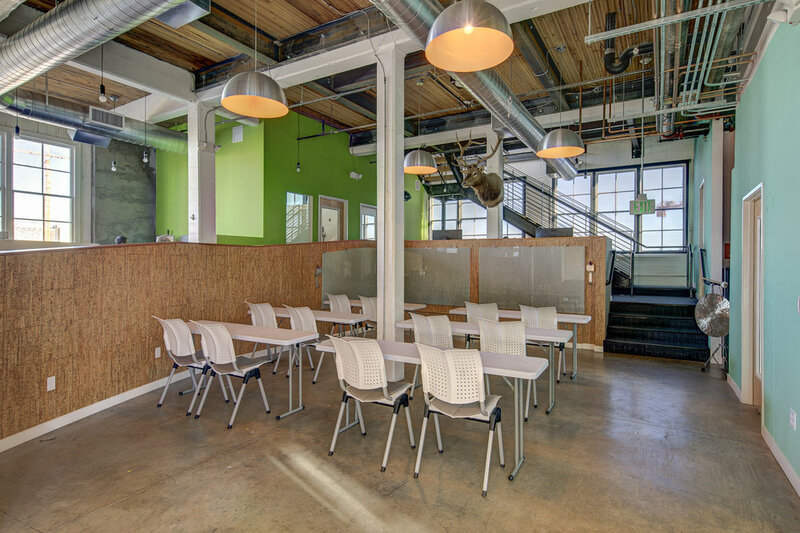 Plant walls and cork wall finishes throughout create a softer quality to the industrial space. 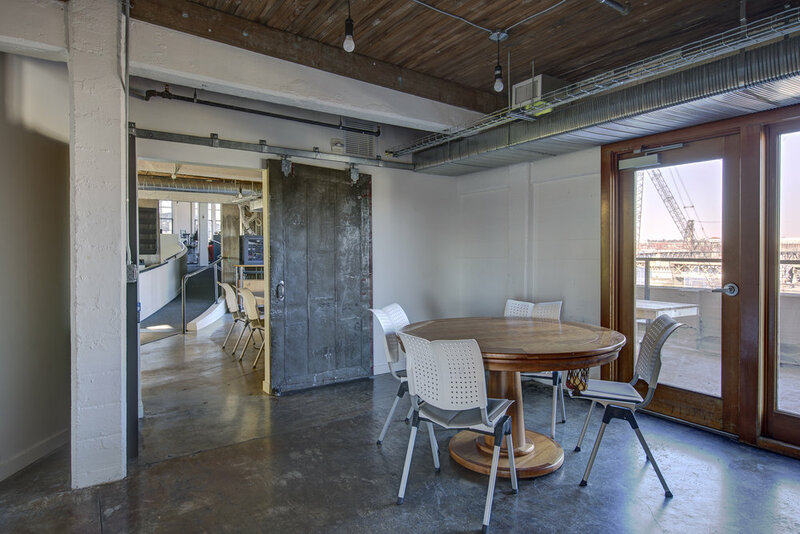 Creative & open office workspace in Industrial SE Portland.